Hmm, which to choose: smart brogues or casual loafers? Or maybe our brofers. These are your one-stop everyday pair, made from soft suede and lined with our signature spotty cushioned insoles. 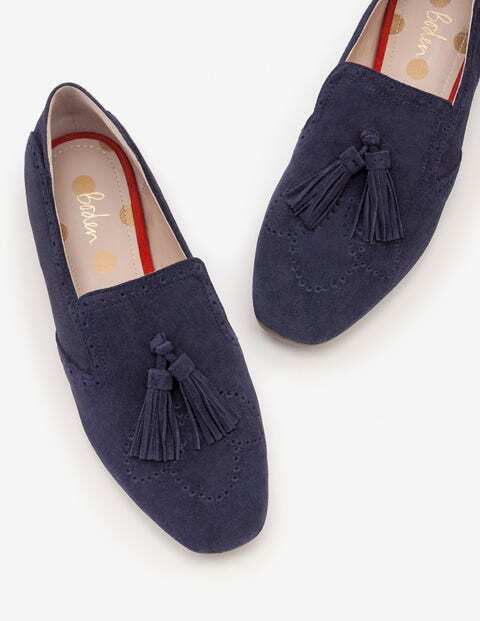 Classic punched-pattern detailing is complemented by two neat tassels. It just wouldn't be a brogue without them.